Brand Me! - The 1% Edge: What's Your Attitude Towards Recruiters? What's Your Attitude Towards Recruiters? I don't usually do cross connects between my 2 blogs, but this week the topic of my guest blogger on my HR Blog - HR & Management 3.0 has compelled me to do so. Here's your opportunity to walk in the shoes of a recruiter and get an inside peak of their view of you! The writing is heartfelt, humble, and eye opening! 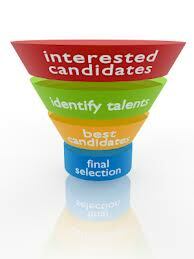 I got good advice when I opted for the headhunter melbourne as advised by a career guru. They fast tracked my application based on my credentials to their Umbrella HR.